Clear your space and set good intentions! 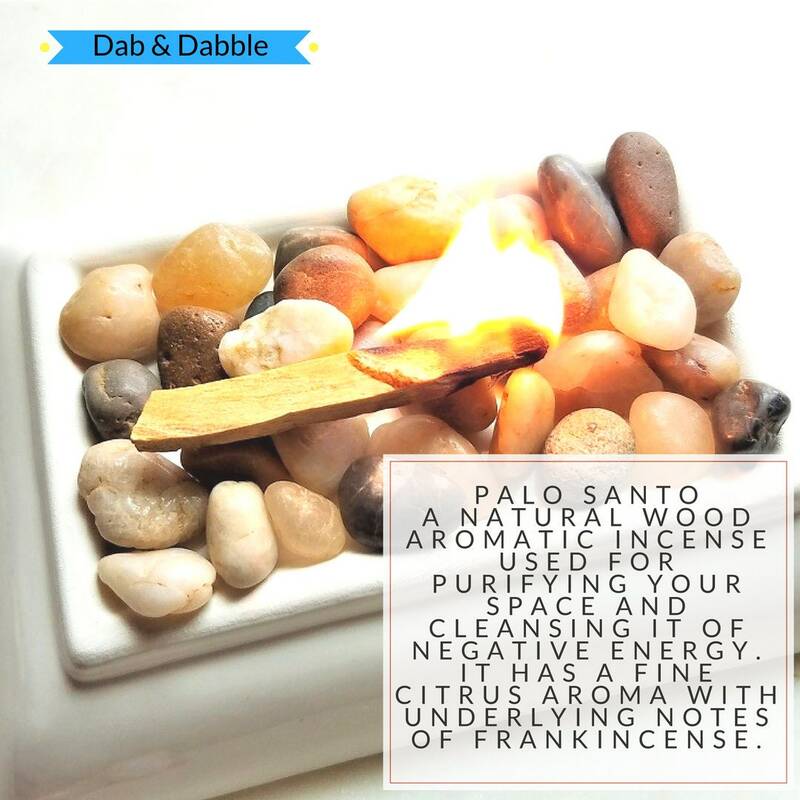 This energy cleansing palo santo incense match smudge stick has a fine citrus aroma with underlying notes of frankincense fill your space with positive vibes! 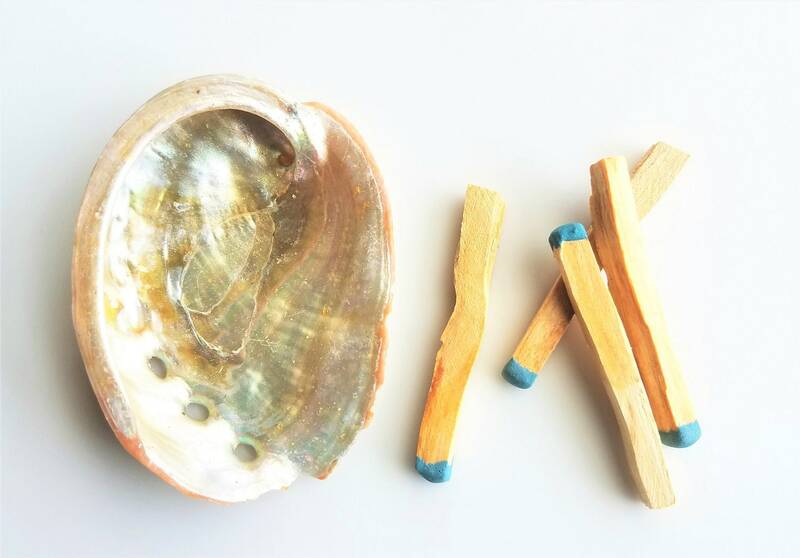 I've paired 4 hand dipped palo santo matchsticks with the perfect sized abalone shell to use as a smudge bowl. 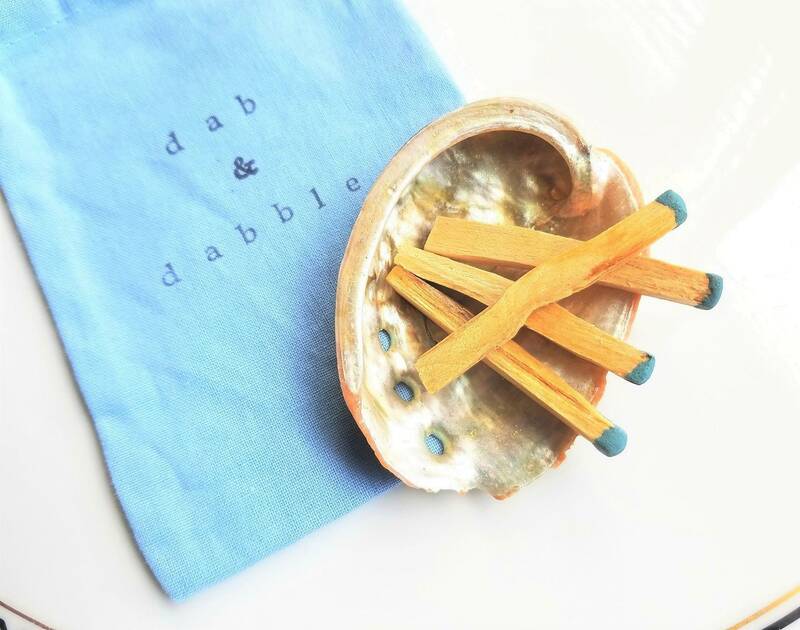 Comes in a drawstring pouch so you can take this mini smudge kit with you. Also a great gift for a friend that needs positive vibes sent their way! 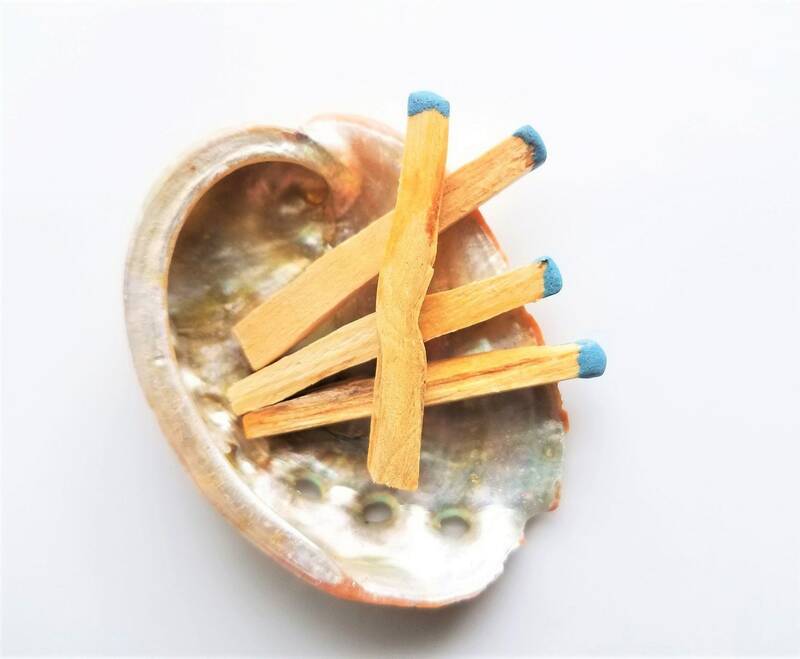 Give this as a housewarming gift to someone that has just moved into a new space. 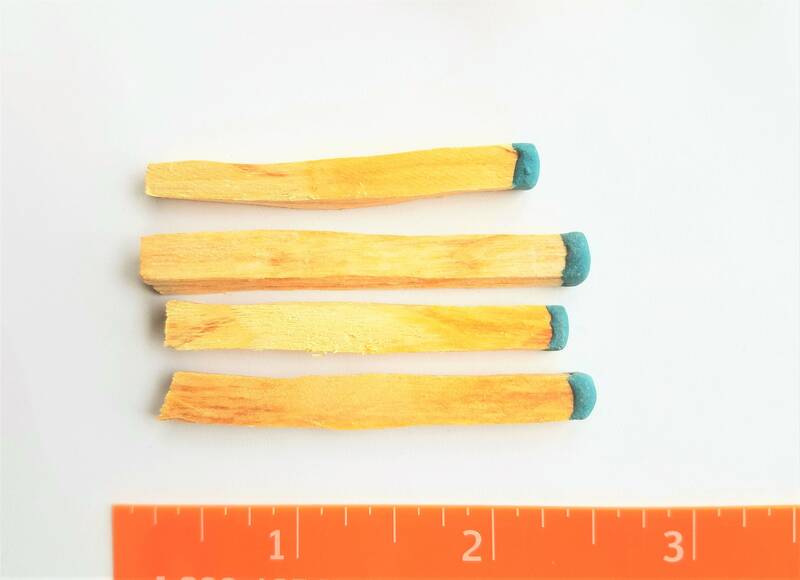 (4) Hand dipped natural palo santo matchsticks with an aqua blue tip. re lit as needed after the match head is gone. 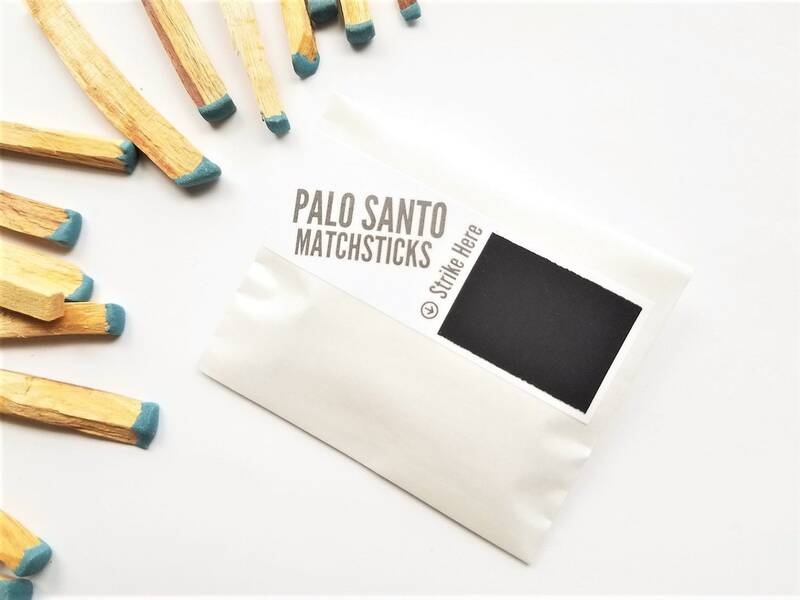 ✔ This Palo Santo is sustainably harvested and the matches are hand crafted in California.